Mesothelioma and its treatment may cause a variety of side effects. These symptoms can diminish ability to eat well and lead to unintentional weight loss. If you’re caring for a loved one with mesothelioma, you can help that person meet their nutrition needs and avoid losing weight without trying. This is important because proper nutrition is a critical component of mesothelioma treatment. The right nutrients are the fuel your loved one needs to heal, maintain immunity and rebuild their body during and after treatment. Beyond preparing food, removing stress from meal times, keeping realistic expectations, remaining flexible and supporting eating efforts can do wonders for your loved one’s ability to eat. One of the most challenging things about cancer is the additional stress it can place on a relationship or family. Every family has challenges, and we all get irritated with our spouse from time to time. Mesothelioma cancer can magnify small day-to-day annoyances and bring them to a boiling point. Even things as seemingly normal as having a meal together can feel like a battleground after a cancer diagnosis. Following mesothelioma treatment, eating can be a huge challenge. Food can taste horrible, or have a metallic flavor or texture like cardboard. Appetite can be nonexistent, and nausea comes and goes. Words alone often aren’t adequate to describe these challenges to a family member who is not experiencing them directly. This dynamic is the last thing a person struggling to eat needs. Stress can lessen appetite further and adds another barrier to eating enough. If they think every bite and sip is monitored, it’s harder for them to eat well. Offering them food frequently throughout the day and in small amounts. Preparing various types and flavors of food. Making suggestions of different things for your loved one to try. Being supportive, even if someone doesn’t eat as much as you’d hoped. Common eating issues for people in cancer treatment include intermittent nausea, inconsistent appetite and frequently changing likes and dislikes. It’s easy to feel your hard work in fixing what they want is being rejected. Just remember, what sounds great one minute may not be appealing the next. It’s not your fault, and it’s not your loved one’s fault either. Instead of getting mad, simply acknowledge how hard it is to go through this. Offer to wrap the food and reheat later when they feel better. You can also try something else that’s quick and easy — a few sips of a smoothie or some crackers and cheese. Under normal circumstances, weight loss can benefit health if a person carries excess fat. However, cancer treatment is far from a normal situation. With cancer, the body often cannot respond to weight loss in a healthy way. Instead of losing fat during treatment, patients can lose lean tissue. Lean tissue makes up muscle, organs, red and white blood cells and platelets. In this way, weight loss exaggerates weakness and fatigue. You end up depleting the very cells and tissues needed to keep immunity strong and maintain healing. Be supportive and help them move from old goals (weight loss) to a new goal (maintaining weight) to stay strong through treatment. One of the hardest things around eating habits is breaking routine. If you’ve always had three meals a day, and always eaten breakfast and dinner together as a family, it can feel hard to let go of that pattern. However, when someone is struggling to eat enough during mesothelioma treatment, three meals a day doesn’t always work well to meet nutrition needs. Many patients find multiple mini-meals and snacks — just a few bites at a time every 60 to 90 minutes — easier to manage than large meals. If meal times were your time to catch up on the day, create a new ritual. Honest communication can head off a lot of battles around eating during cancer treatment. Make the most of every eating opportunity with protein and calories. Eat protein-rich foods regularly such as cheese, eggs, chicken, fish, lean beef, beans, tofu and nuts. 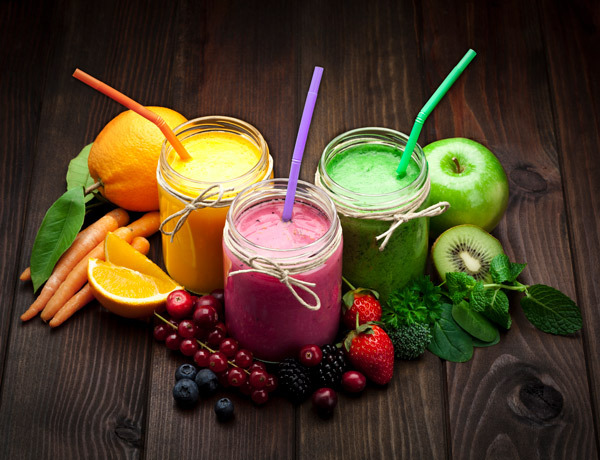 Drink high-calories liquids such as 100 percent fruit juice or smoothies made with whey protein powder or milk. Add cheese and cooked meats to omelets, sandwiches, soups, salads and casseroles. Add powdered milk or plain whey protein powder to milkshakes, cream-based soups and mashed potatoes. Ask your loved one, “Salty or sweet?” Tailor each meal or snack to what appeals to them at the time. Snack on cheese, nut butters or roasted nuts. Blend nut butters or ice cream into smoothies and milkshakes. Offer egg-based desserts such as cheesecake, custard and pudding.